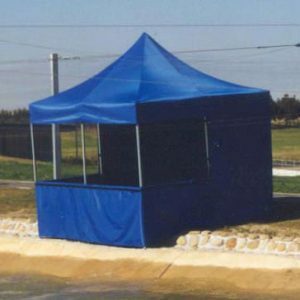 When your QuikShade is on a hard surface, pegs and guy ropes are unlikely to be suitable for tethering. 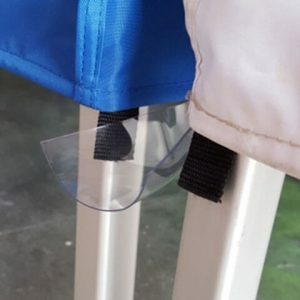 Sandbags weigh about 12kg when filled with sand (wet sand does NOT weigh very much more than dry sand), sand bags fit around the bottom of the legs with Velcro. More than one sandbag can be fitted to each leg by positioning one on top of the other. 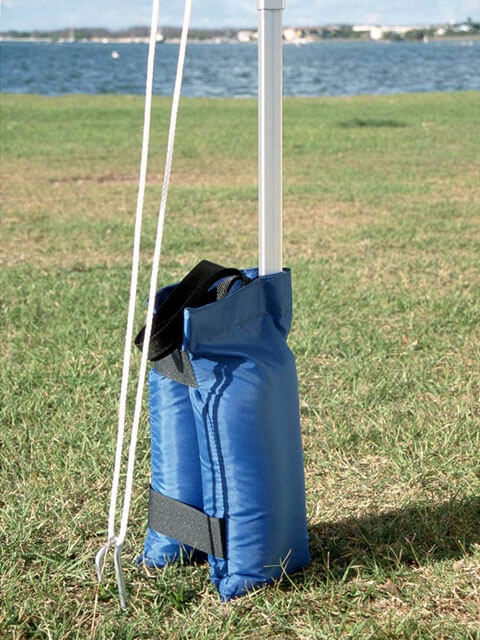 The use of sandbags in addition to guy ropes and pegs may be necessary to tether your QuikShade in some cases. 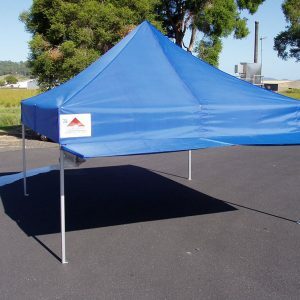 Always ensure your QuikShade is suitably anchored, gusts of wind have been known to lift over 50kg. The larger the area, the larger the effect of the wind! 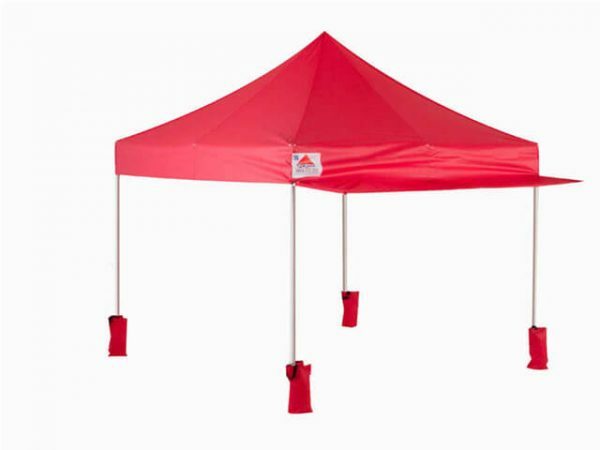 In the interest of safety for yourself and others - please do not use your QuikShade in bad weather conditions.